New takes on classic kicks! Get ready for a blast from the past! Old-school boots are back in a big way. Bright colors, unique patterns, and vintage charm are all making a comeback this season. 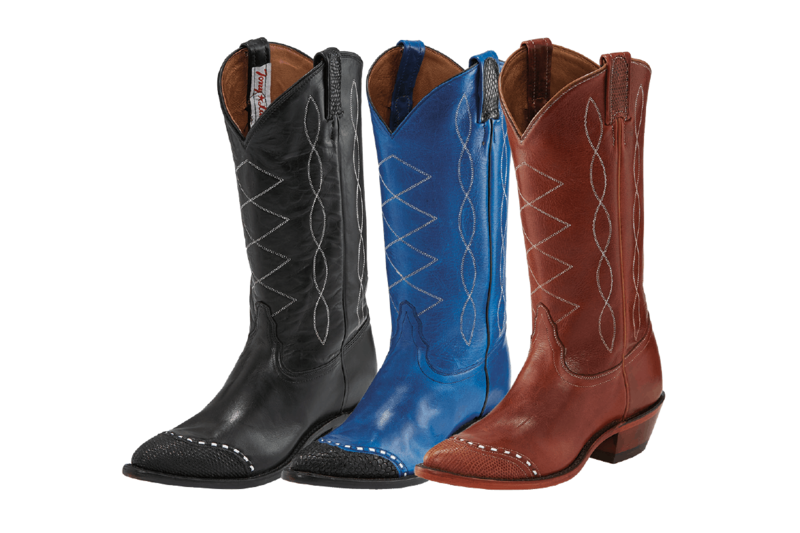 Corral classic look with old school style; recreating the lady bronc riders of the Old West at Pendleton and Cheyenne, $298. 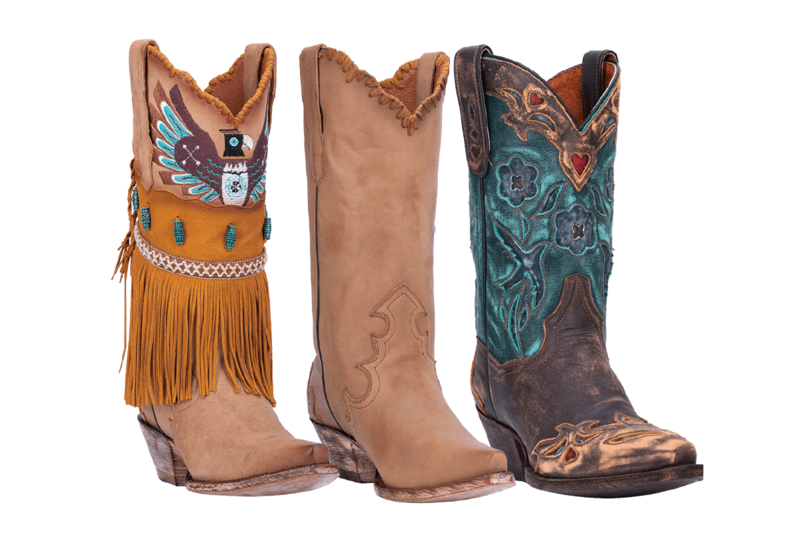 L to R: “T-Bird” Soft leather with Thunderbird design, $288; “Denise” camel leather with vintage hand lacing, $225; “Vintage Bluebird” distressed leather and inlays, $297, Dan Post. 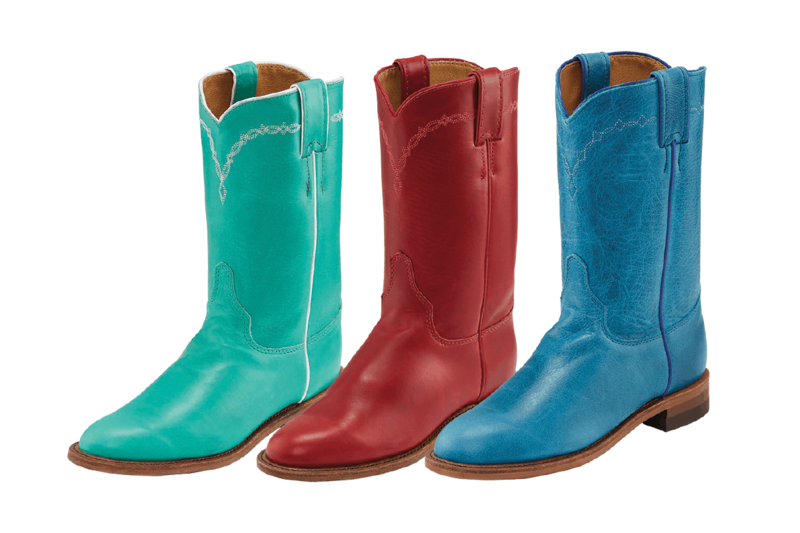 The classic cowboy riding boot returns in a colorful collage with this take on Justin‘s vintage roper, $185. 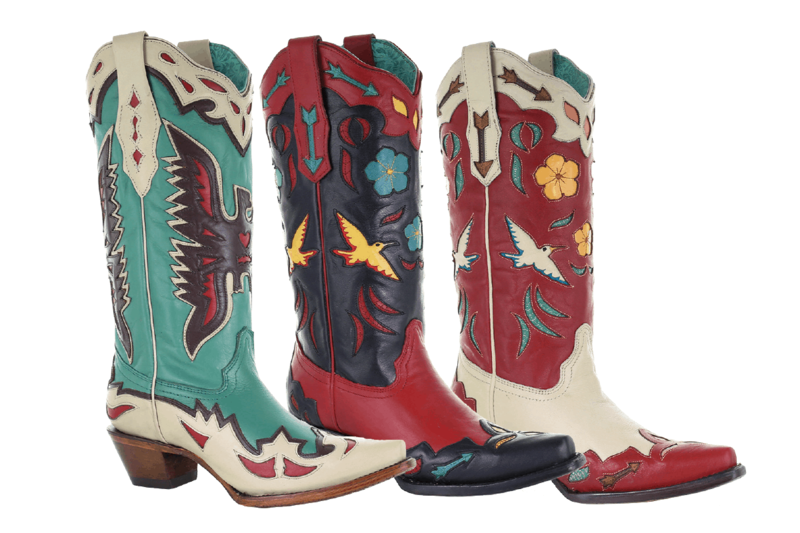 The wingtip was the number one Tony Lama boot in 1986 and they are making a glorious return with these vivid colors and classic lines, $299.